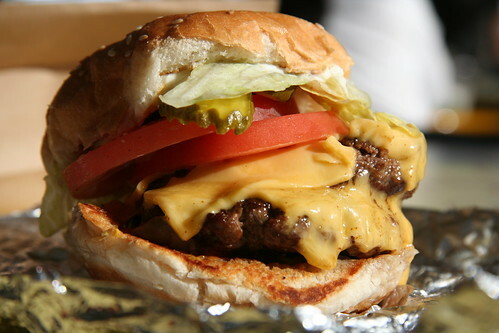 Five Guys makes a tasty burger which would be a lot easier to eat if they were flatter or singles. One can order the "little burger". which I would guess is a single patty, and have no problem with distribution. No real complaints, though. It was tasty and fresh and a mess to eat. And I loved it. I might have to schedule all my flights to go through DC from now on.